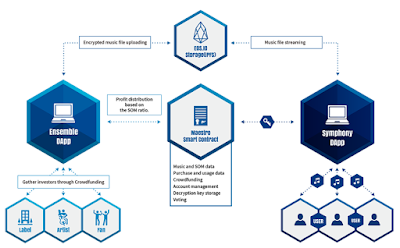 Maestro is a blockchain based music platform consisting of crowdfunding centers and streaming services. 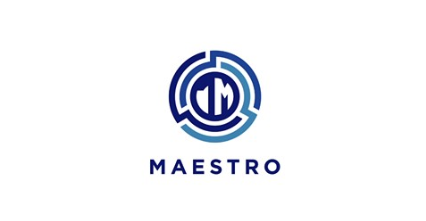 Maestro focuses on building platforms where profits are distributed fairly through the transparency of blockchain technology and thereby solve capital problems: the most fundamental of the problems that underlie the industry today. Artists can reduce the burden of production costs by receiving funding through Maestro’s center crowdfunding, “Ensemble.” Consumers receive rights to the content they have invested. 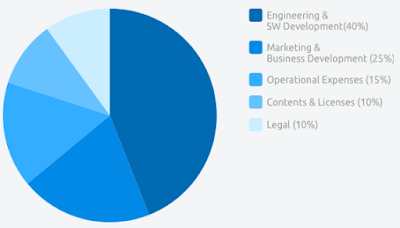 Furthermore the benefits resulting from the content are distributed among shareholders because investors receive a share of the right track, they can also develop a sense of responsibility in promoting it . In other words, Maestro can solve current funding problems through advanced funding, help secure artist rights, and operate streaming services to create an environment where music projects have a better chance of success. Rather than just focusing on the artist’s share of profits, we are dealing with funding issues for all participants. We can build active, participatory music services by providing incentives to each participant. Maestro focus exclusively on creating a new music ecosystem that can support all artists, production companies and investors using blockchain technology and consider appropriate incentives for each participant. respectively. Maestro methods will bring more benefits to consumers as well. The Maestro service already makes sense of the pricing policy in which consumers pay according to the number of songs they have actually flowing. If consumers do not use any of the services provided, they are not charged. Maestro provides incentives to consumers by allowing purely playable subscription packages based on usage. This funding structure provides new investment and communication opportunities for consumers. Consumers can choose to communicate directly with artists and become active participants in their projects. If the projects they funded succeed, they can expect a share of the profits based on the amount of their investment. Maestro is the first blockchain platform through which consumers and artists can help each other for mutual benefit. The platform offers two dapps: Ensemble and Symphony. 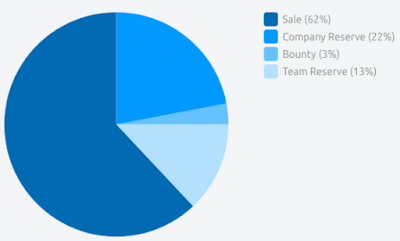 Tokens sold * Unsold token will be burned. Official launch of the Mainnet Platform.